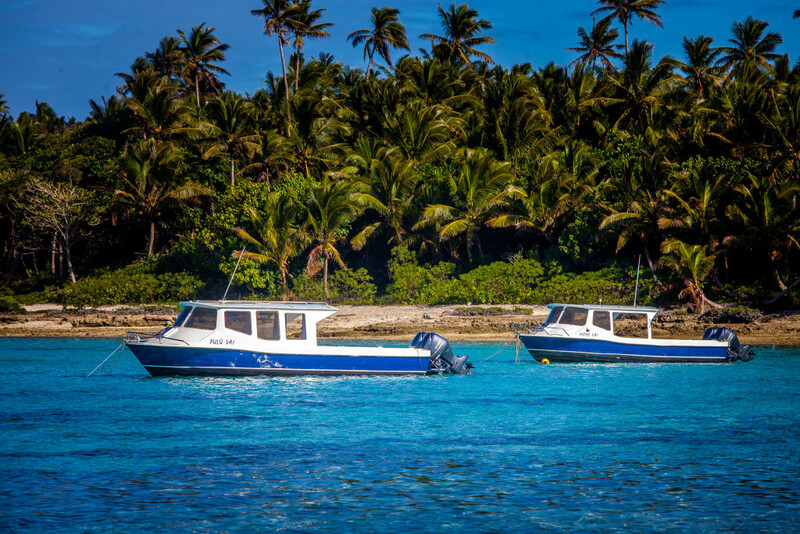 Ha’apai is the way the South Pacific used to be…. 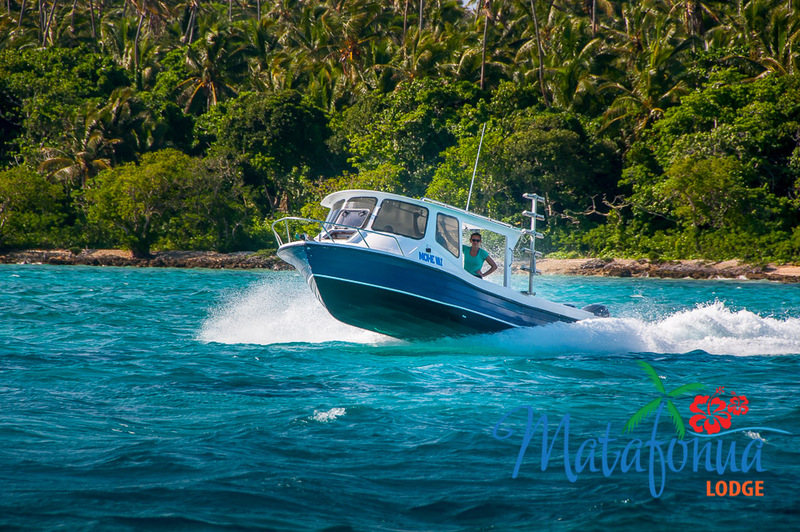 The peace and tranquility of deserted beaches, uninhabited islands to explore, whale encounters, world-class snorkeling, incredible diving and some of the best swimming beaches in the South Pacific. 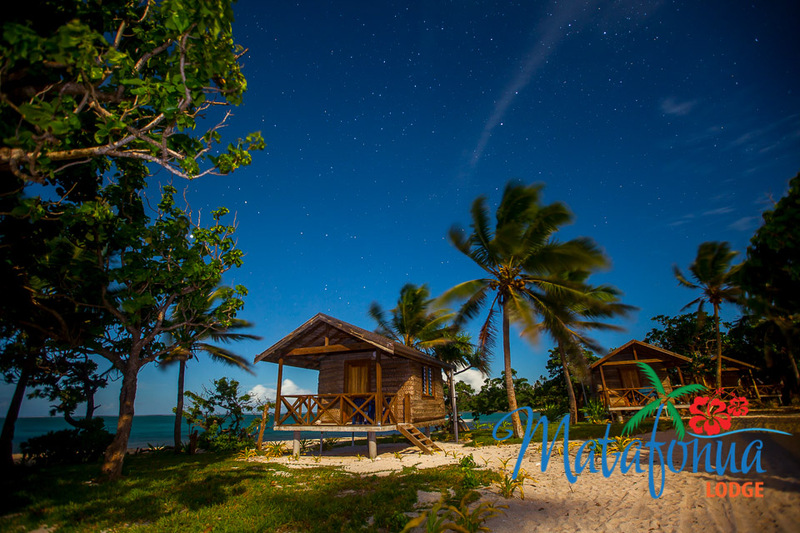 The resort is located on the quiet northern tip of Foa Island, only a short flight from the mainland. 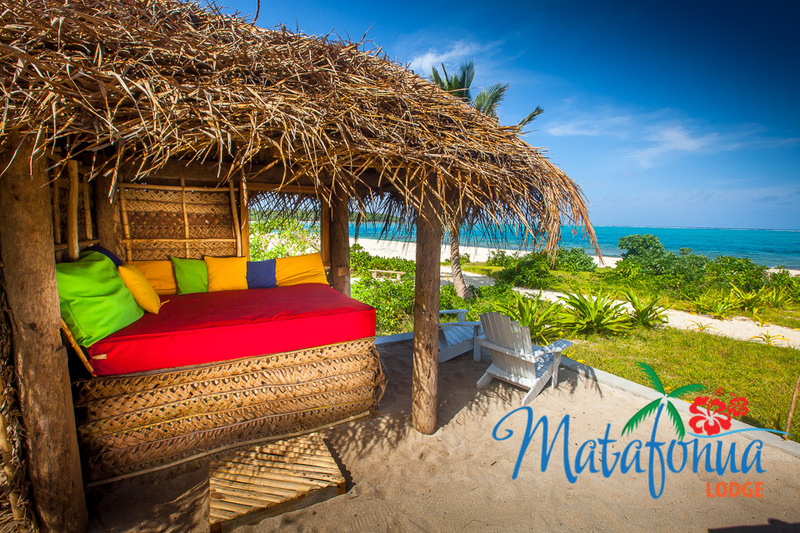 With its white sand beaches, warm climate and picture perfect lagoon, Matafonua Lodge is the ultimate Pacific holiday destination. 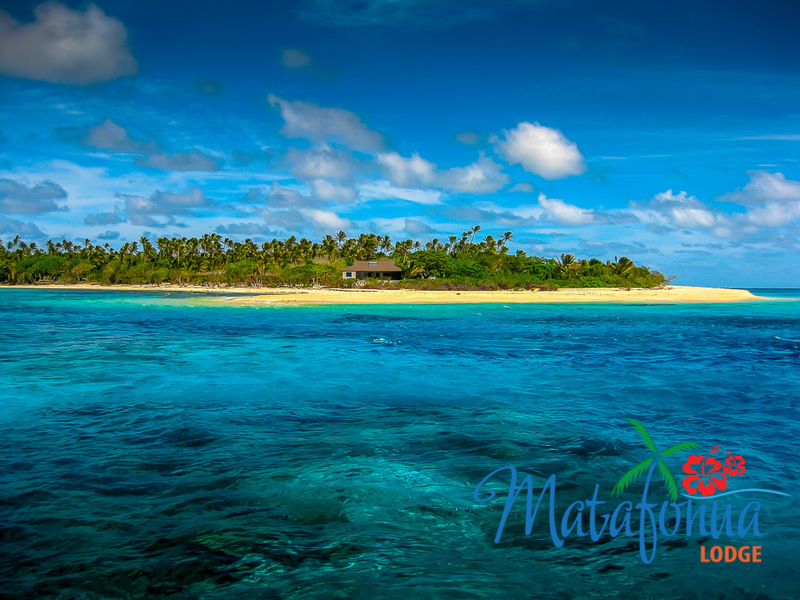 Situated on a white sandy beach (probably one of the best in Tonga) at the end of Foa Island you will find Matafonua Lodge. If you kiteboard you may know of this stunning location, if you don’t kiteboard or know of this place…you should. 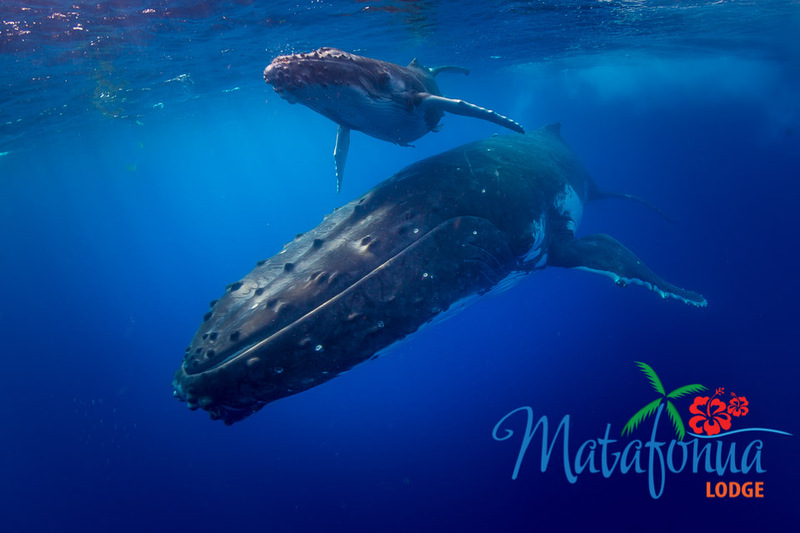 For those who wish the opportunity to swim / snorkel up close with whales, then Matafonua Lodge is the place for you. 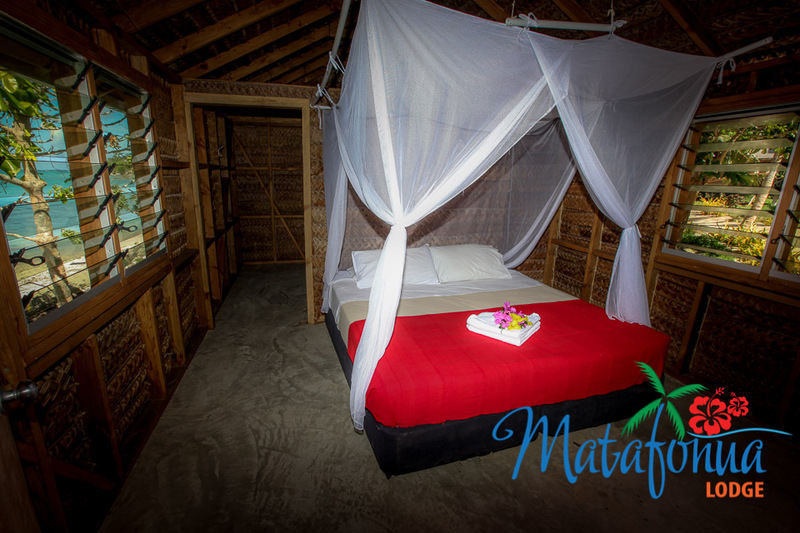 The beautiful Tongan-style fales can accommodate 2 persons in a double or twin room and up to 5 persons in a family fale, which consist of a main room with a double bed and a second smaller room with 2 singles. A fold-out bed and/or port-a-cot may be available for extra children/infants upon request. All fales have a covered terrace, electricity and power points (for charging batteries etc), comfortable bedding and shelved storage. Linen & towels, including beach towels, are provided. You do need to bring your own toiletries. The separate male and female bathroom block is a short stroll from all fales, and has solar hot water in the showers. There is a bar & restaurant onsite serving breakfast, lunch, dinner and a selection of alcoholic and soft drinks. Continental Breakfast is included and cooked breakfast (which is served all day) is available from TOP18. The lodge have a standard menu, which is available all day, and includes things like sandwiches, pizzas and burgers and the prices range from TOP7.00-30.00. Each day they offer different dinner specials with prices ranging between TOP25-40. They also serve a selection of fresh baked cookies, snacks and desserts. 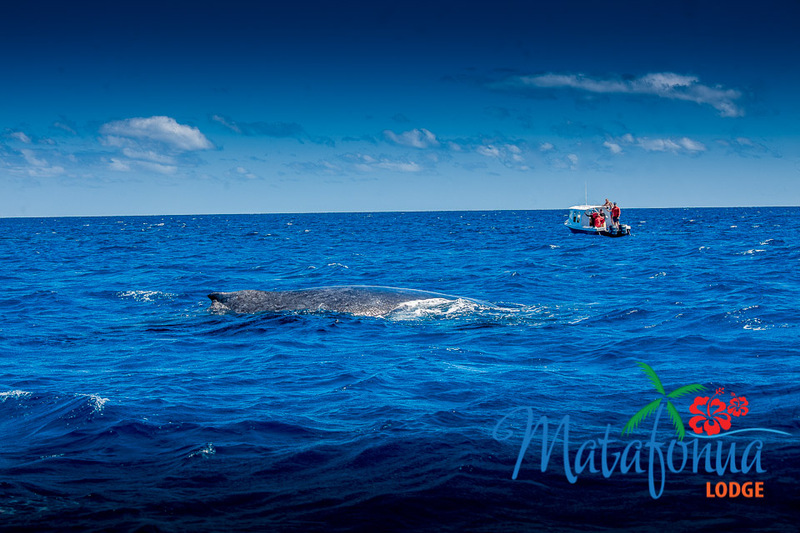 Whale watching (including the possibility of whale swimming) is available between July and November and is offered onsite by the lodges own experienced and knowledgeable team of guides. Swim with these gentle giants as they seek shelter in the warm calm waters to mate and give birth. The best months are August and September and it is advisable to pre-book. Whale watching includes lunch, refreshments, snorkel gear and wetsuit. They take a maximum of 8 people on the boat with 4 in the water at a time (be sure to check out the videos at the bottom of this page). Dive and whale watch boat. 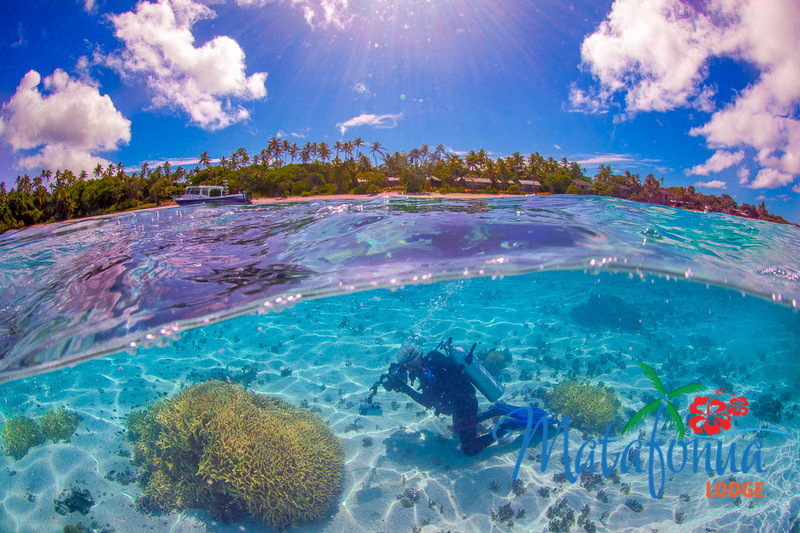 Diving in Ha’apai is spectacular. Whether you are a certified diver or want to try diving for the first time they have something for everyone. 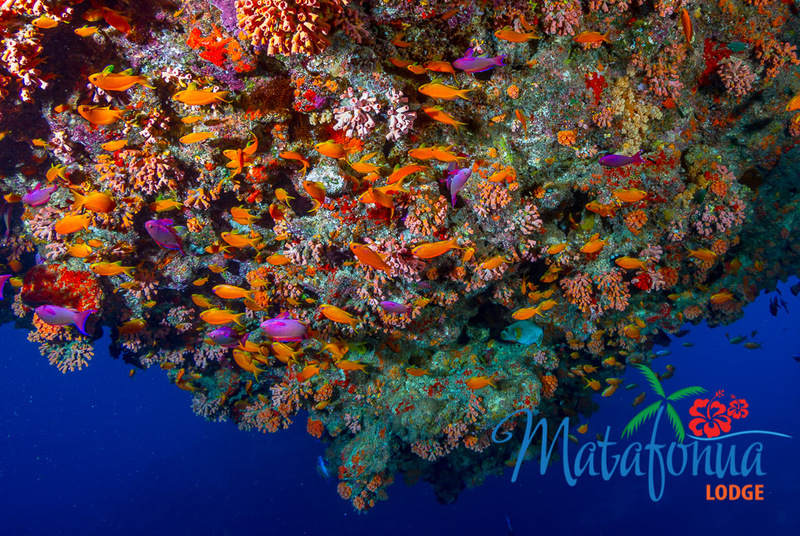 The reef system is pristine and alive with marine creatures large and small. They have a variety of hard and soft corals riddled with amazing tunnels and swim-throughs. Variety of corals and topography. The dive & whale boats have been completely remodeled and all of the gear, including tanks, is less than 2 years old. 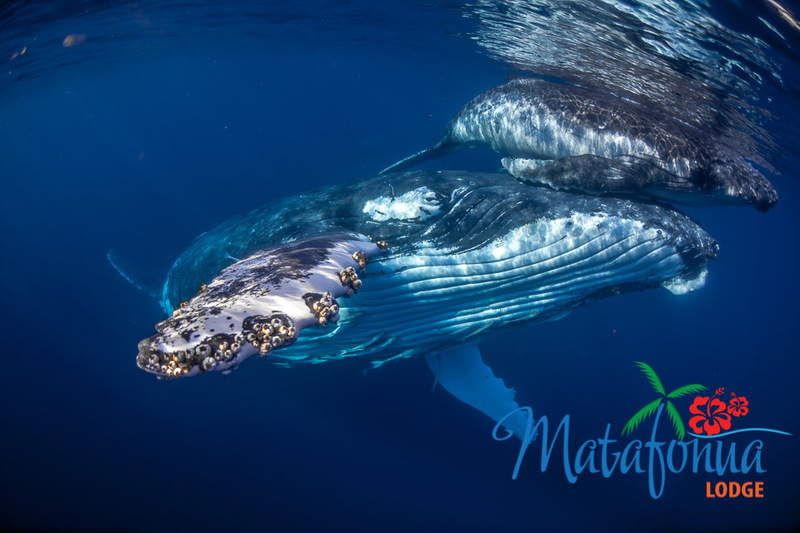 Matafonua Lodge is the only dive and whale watching operator on Foa Island so you can rest assured that all of your experiences with them will be relaxed, uninterrupted and unhurried. 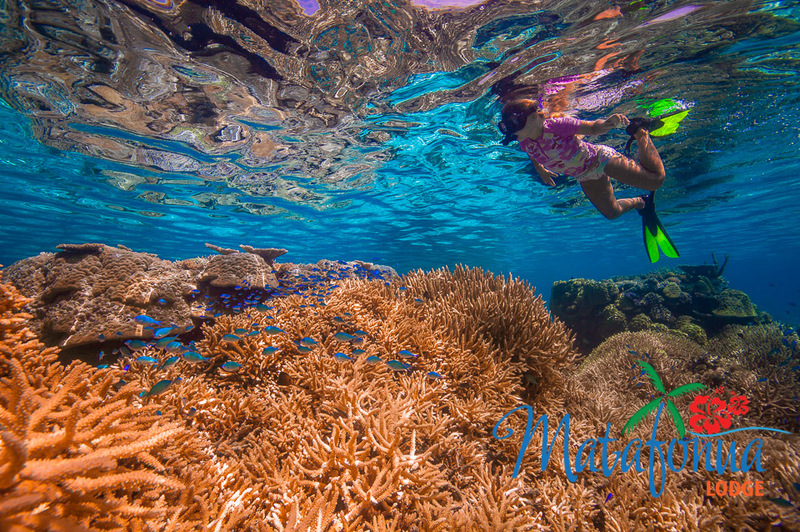 Safe swimming and phenomenal snorkeling in crystal clear blue water is available for all ages. 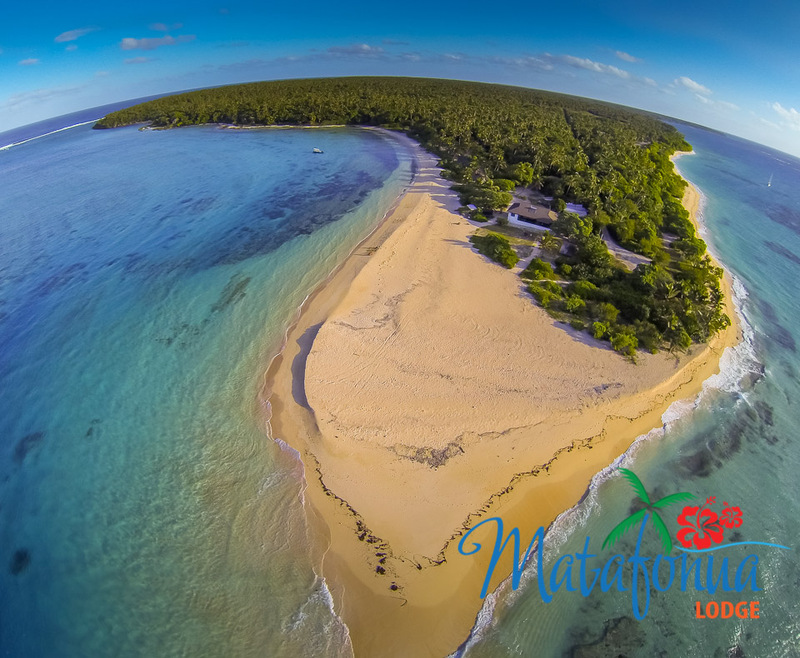 100 meters from the beach is a deserted island waiting for you to explore, kayak or swim over – it is up to you. Relax, play.. It’s up to you. The calm waters of the channel and lagoon also offer excellent kite/wind surfing opportunities and rental gear may be available for the experienced. Kayaks, bicycles & wireless internet are all free, there is a small charge to rent snorkeling equipment. 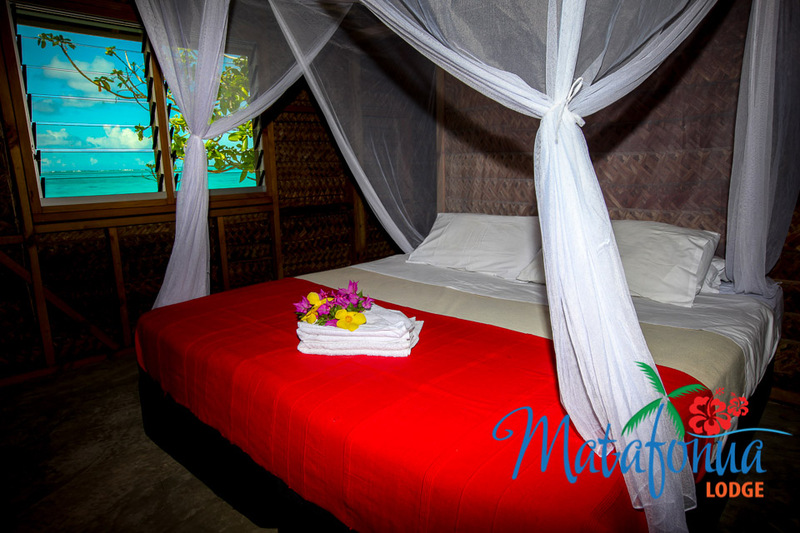 The Lodge staff can organize a cultural island tour of one of the other islands, Kao Vai, also known as Ha’ano. The island is untouched by tourism and there is only one car on the island! You are collected after a short boat ride by horse and cart and given an island tour, the local women’s group demonstrates local handicrafts (and may even make you something to keep ! ), the children in the village perform some local dancing and singing and you are served a traditional Tongan Feast, not a paper plate or plastic fork to be found, everything is served in the traditional way on leaves and carved bowls. Your day ends with a snorkel in a picturesque and sheltered bay before your boat ride back to the resort. 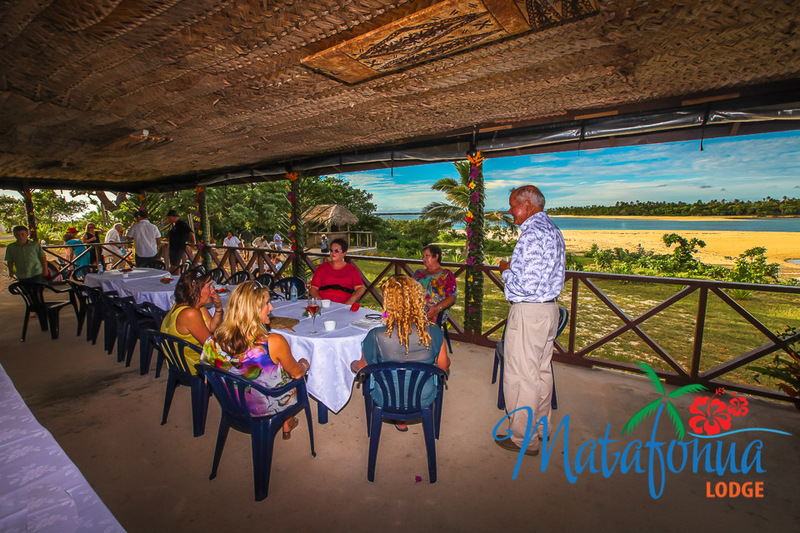 Other activities include horse riding, bush walking, visiting local villages, viewing ancient rock carvings and taking part in a local kava session.